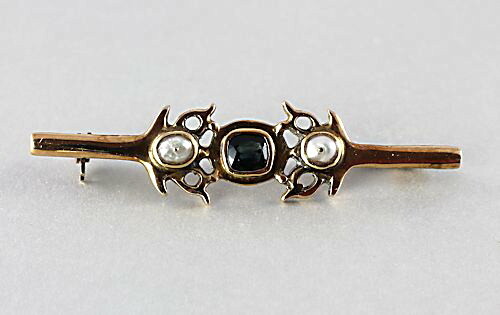 Beautiful antique bar brooch crafted in 14K yellow gold. The bar design showcases a sapphire or synthetic sapphire stone flanked by two silver pearls in open cut work. 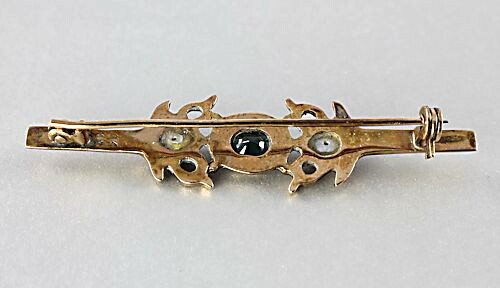 Brooch is quite heavy and weighs 5.8 grams. It measures 2 1/4 inches in length and 1/2 inch in width. Marked K14 43 on the back. 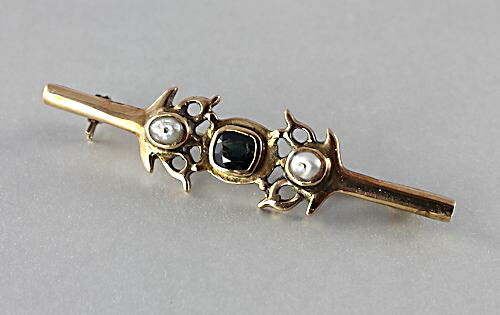 The sapphire has minor wear which is not noticeable when brooch is worn. The roll over clasp is in perfect working condition.